If you were injured due to someone else’s carelessness, you may be considering a lawsuit to get compensation for your medical expenses, pain and suffering, lost wages and other damages. In short, you need a personal injury attorney. There are a lot of lawyers out there, and you may be wondering how to choose. Here are the practices to look for to find the best personal injury lawyer. 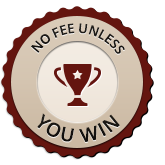 The best Chicago personal injury lawyers do not charge a fee unless they win your case. They use a contingency fee model, in which the attorney is paid a percentage of any settlement or judgment obtained. Any expenses, such as for investigators or expert witnesses, are advanced by the attorney or law firm, and reimbursed from any recovery obtained. This way, you are able to get high quality representation without having to pay up front. 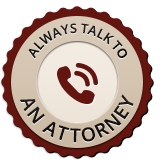 A good personal injury attorney will be available to communicate with you and keep you informed about your case. You have the right to know what is happening with your case, and you need to be fully informed in order to make important decisions such as whether to accept a settlement offer. 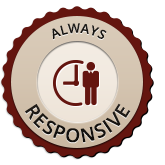 If there is an aspect of the legal process that you do not understand, a responsive attorney will take the time to explain it to you. Be wary of a lawyer who does not seem to have time for you. A good attorney recognizes that you, the client, are the most important person involved with the case, and gives you the respect and responsiveness you deserve. When you contact a personal injury law firm in Chicago, you should be able to speak to an attorney, preferably the one that will be handling your case, or the firm’s lead attorney on cases like yours. If you find yourself stuck talking to an endless chain of receptionists, paralegals and case screeners, the firm may not value your time or your case. Speaking to a case screener is a waste of your time. In court or at the negotiating table, the attorney is the one who will be representing your interests, and that is who should hear the facts of your case directly from you. Not all personal injury lawyers are equal. To have the best possible chance of obtaining the maximum compensation in your case, you should seek out an attorney with several years of experience, not only with personal injury law, but with the type of case you are involved in. Whether it is a car accident, medical malpractice, work injury or wrongful death case, hire a lawyer with experience in your type of case, and a proven record of success. 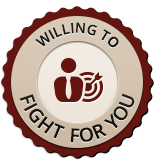 If you are not represented by an attorney, or if the insurance company or defendant sees that you have a lawyer who is not going to fight for your rights, then they will make an offer much lower than what your case is worth. 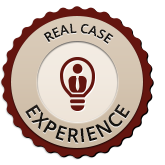 Hire an attorney who will work vigorously to obtain the best possible recovery in your case. While most cases do not go to trial, your lawyer should be ready to take your case to trial if necessary.